By Melissa Lennig on May 21, 2016 Leave a Comment. This content contains affiliate links. As an Amazon Associate I earn from qualifying purchases. 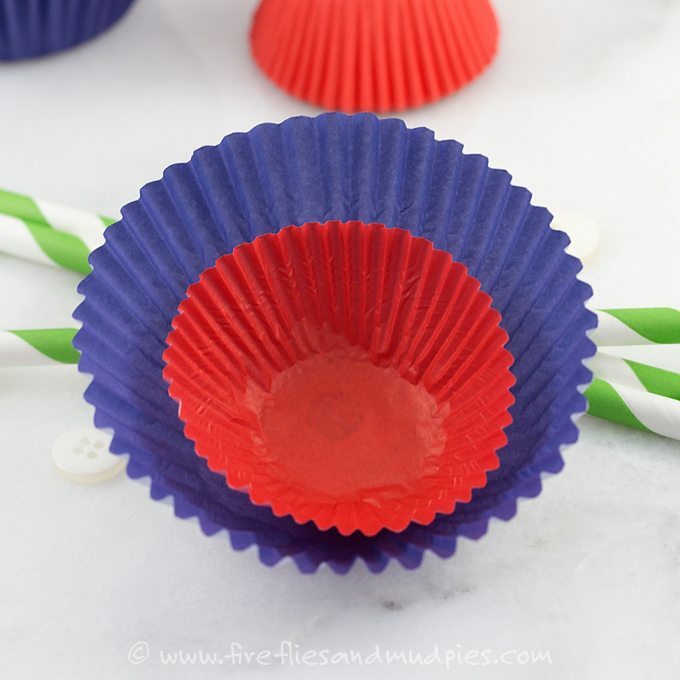 Kids will have a blast making Patriotic Cupcake Liner Flowers for Memorial Day or the 4th of July. 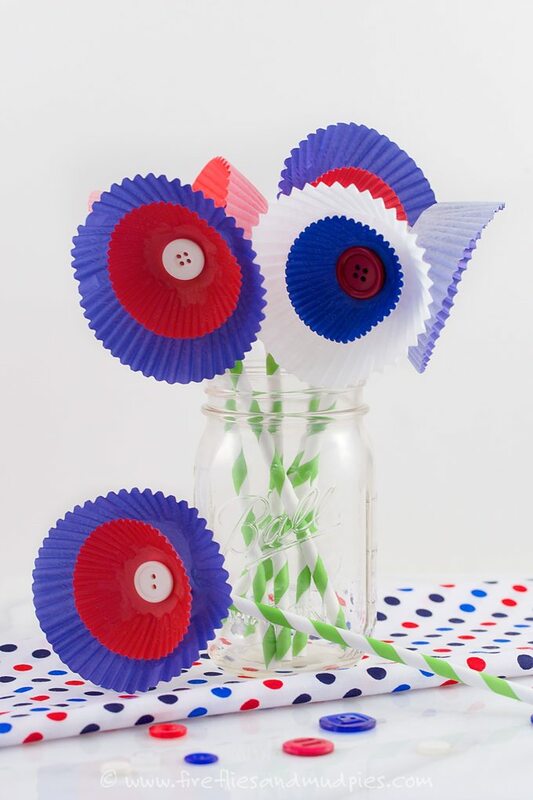 They are an easy craft for children of all ages and look cute gathered in mason jars as a festive centerpiece. My kids have taken quite a liking to cupcake liner flowers. I’m not sure why, but I think it has something to do with the bright colors and how little time they take. 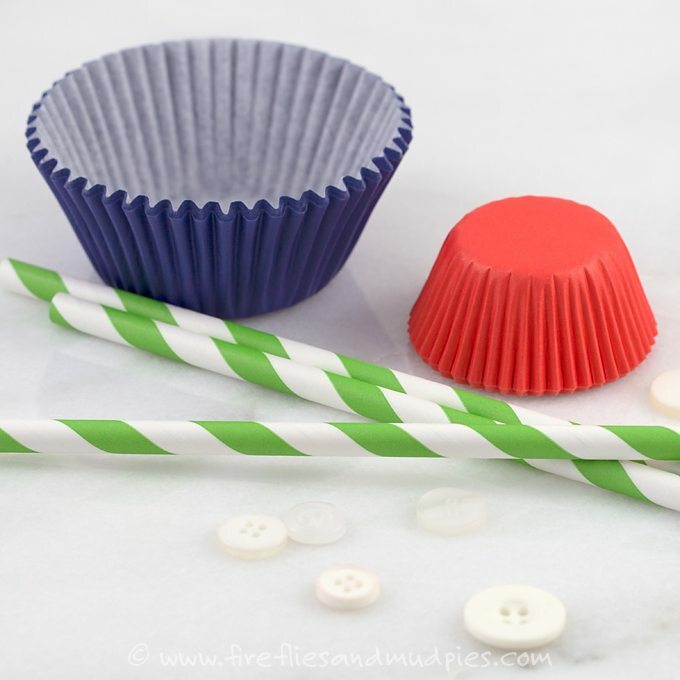 After gathering all of the supplies, the first thing you will need to do is flip the cupcake liners inside out. This allows the bright colors to be front and center. 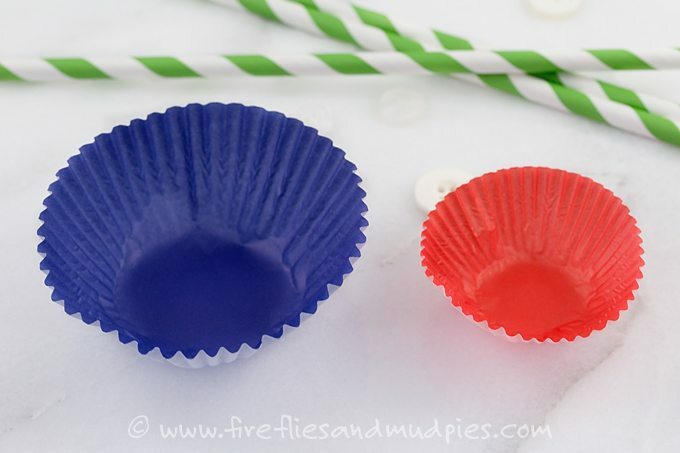 Next, use a Glue Dot to attach the mini cupcake liner to the inside of the standard sized cupcake liner. 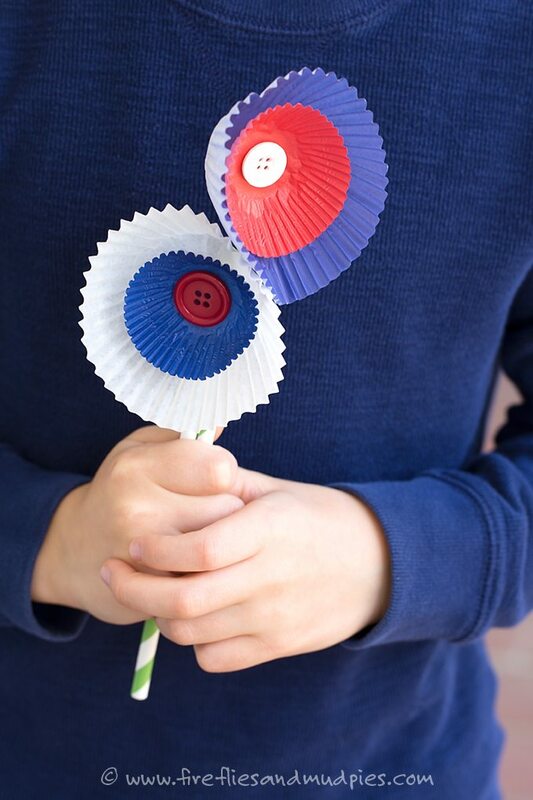 Then use another Glue Dot to secure the button to the middle of the flower. 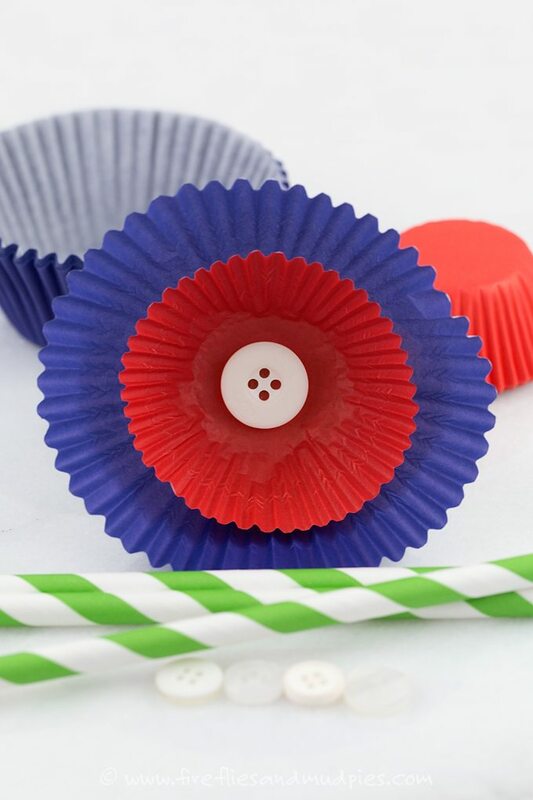 Last, tape the straw onto the back of the cupcake flower. Aren’t they fun? We had fun mixing up the colors! 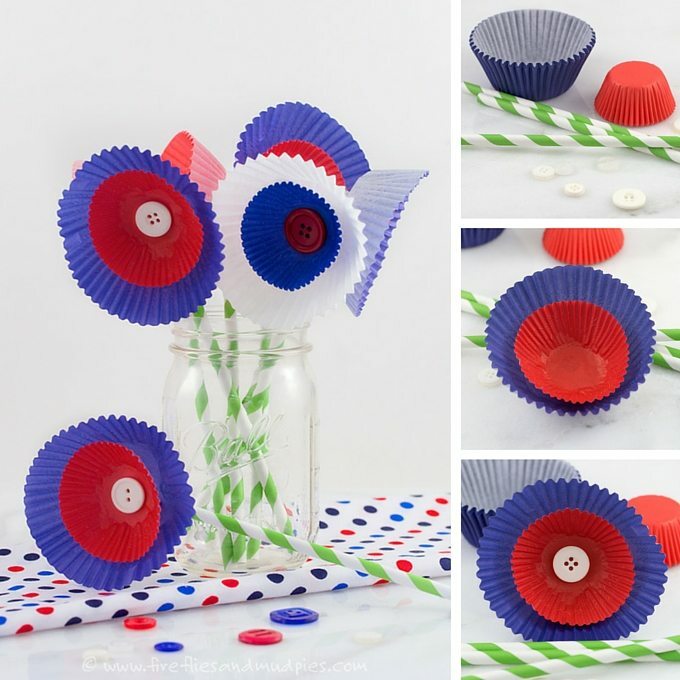 My favorite was the white flower with the blue mini cupcake liner, and red button.